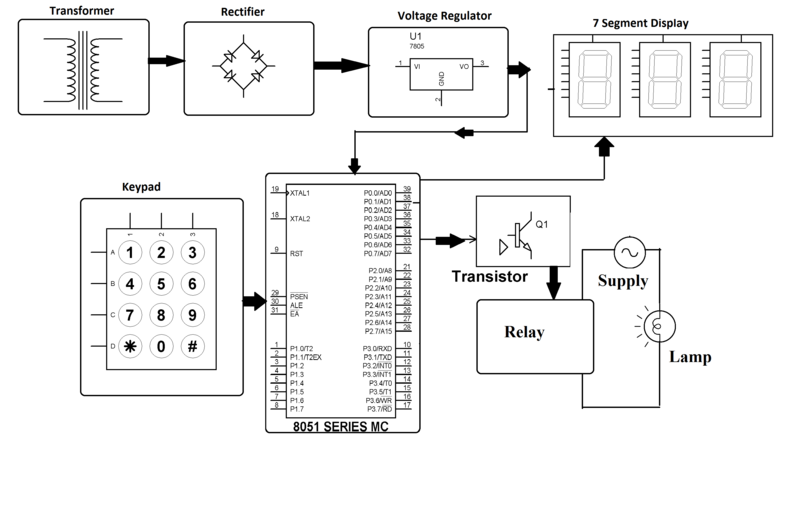 The system is a down counter arrangement using a microcontroller of 8051 family that is used to test the life of electrical products. In industries having products like lights/bulbs/motor etc, it is important to test the lifecycle of the product. This life cycle is tested as the number of times it is switches ON/OFF and still works. 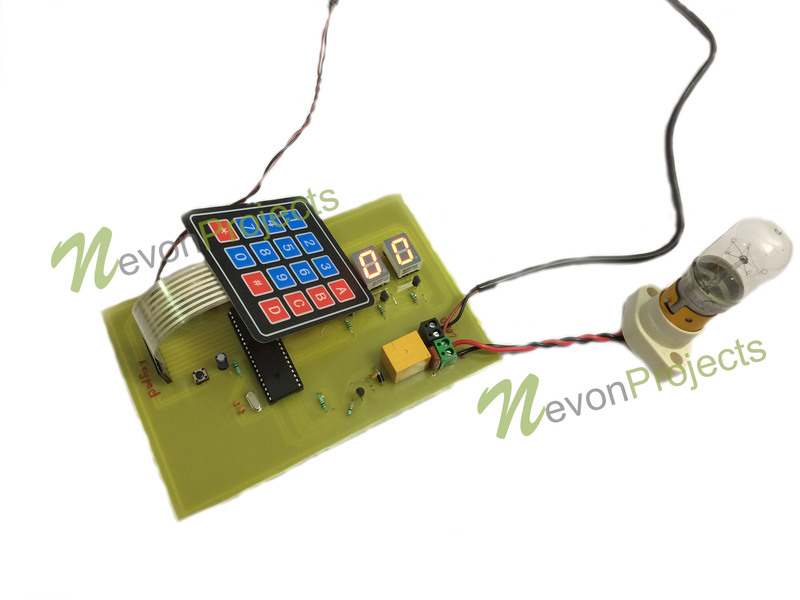 Our project activates a relay switch that is used to switch the load On and OFF for desired number of times. 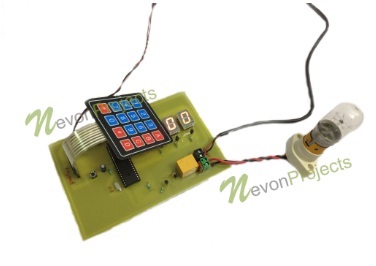 Our system uses a microcontroller of the 8051 family having a keypad interfaced to it. It also has a 7 segment display to display the count. On running the system, the user can enter the number of times(0 – 999) he wishes to run the system cycle. Based on this, the system starts the cycle switching the load and a till the counter reached 0. The counter is a down counter that counts downwards from user entered number. On reaching zero the switching cycle is turned off. The system can be enhanced by adding a load output measuring system that lets user know when load collapses, so that system can directly provide the load life.